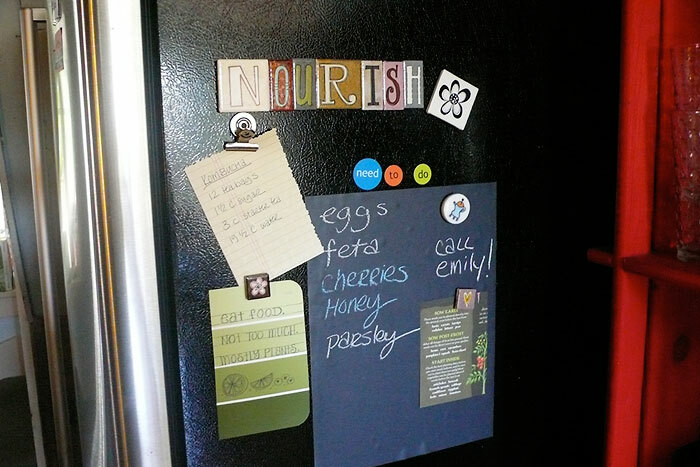 When you start to look around your home, you will find so many metal surfaces to use your magnets on! 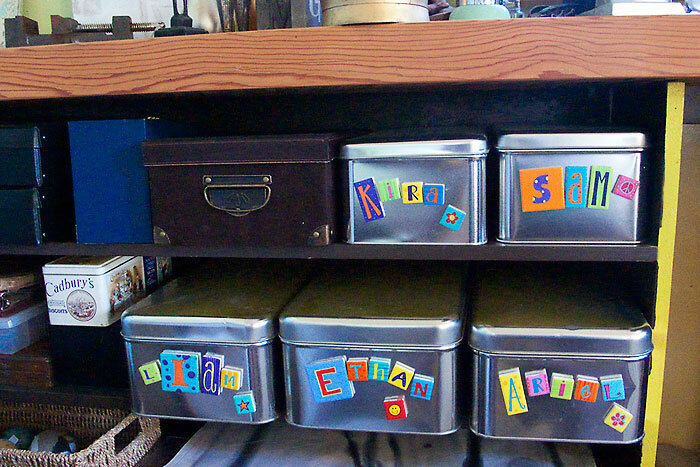 Magnets are great to use as labels for all kinds of storage. 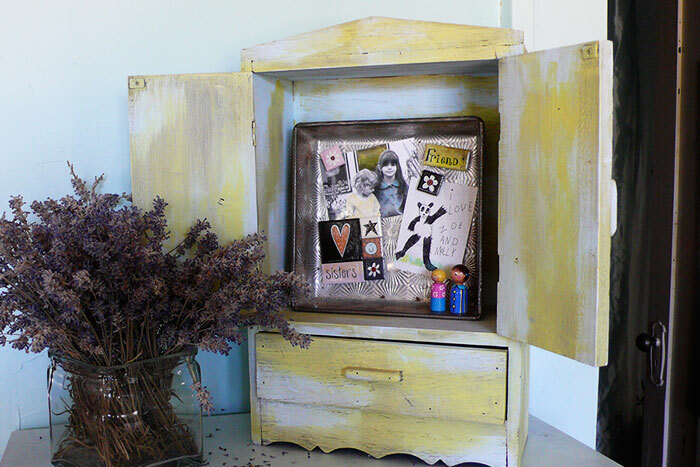 Get creative with your kids! Our tiles work fabulously in all their spaces. Our Prepacked Words create a beautiful welcome to your home. The original home of the magnet and still a great place to use them! Use one of our family theme funpacks to create memories. 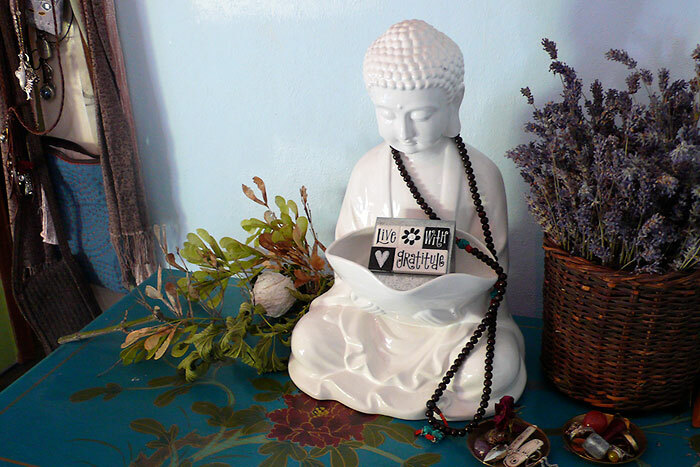 Our Zen and Black and White Statement packs help you focus on your favourite words of wisdom. 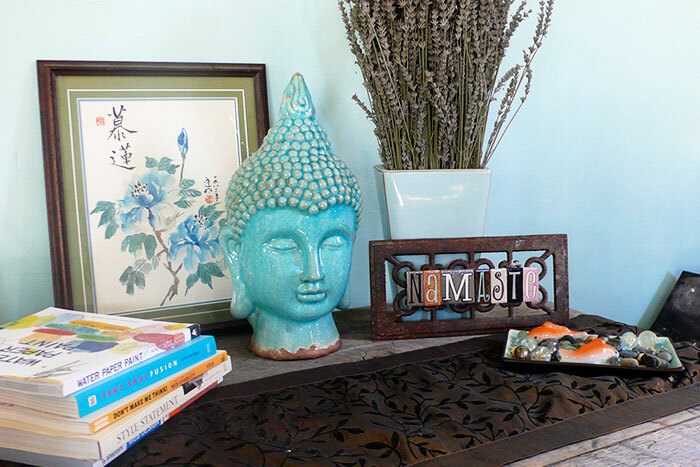 Our magnets work beautifully in putting your vision together. 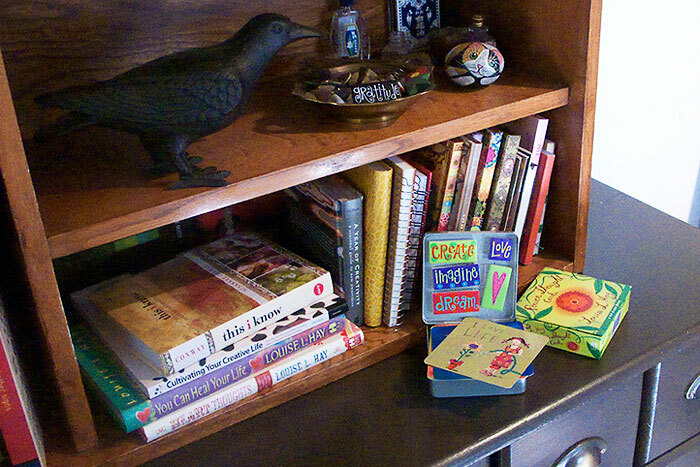 Have you spotted our magnets in another celebrity home? 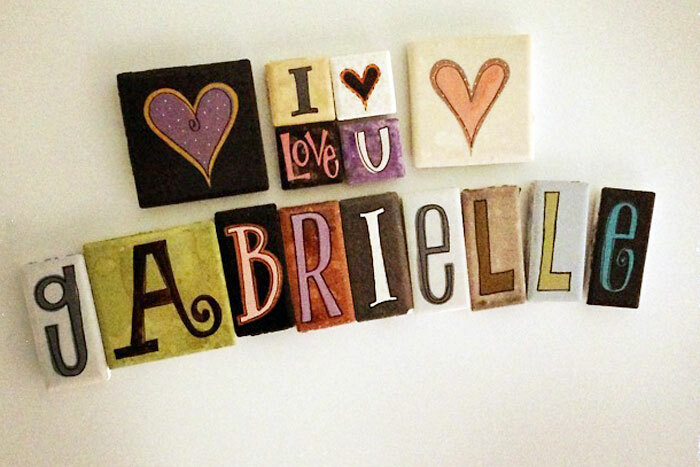 Everything ... when you spell it out in our magnets! In this age of stainless steel, you might think that there’s nowhere left to put your fridge magnets. No, no, NO! There are so many metal surfaces around your home. 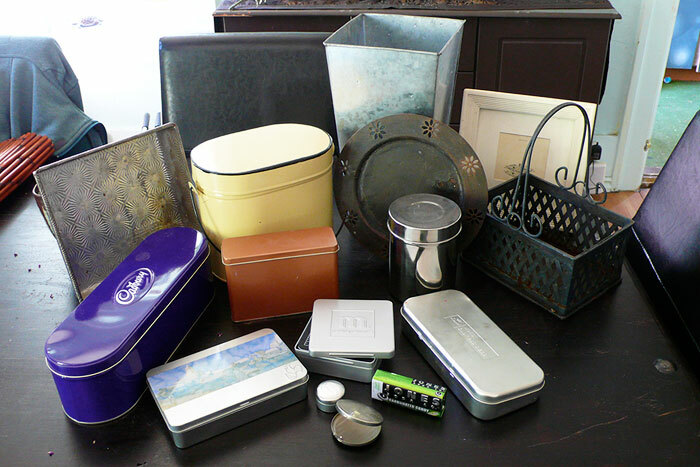 Besides the traditional cookie and baking tins, many products today come in a wide range of wonderful metal boxes and tins. 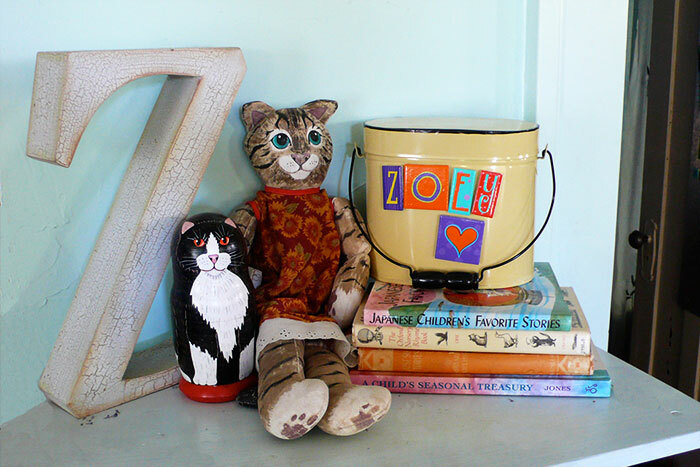 Dollar stores are a treasure trove of metal containers, photo frames and home accessories. 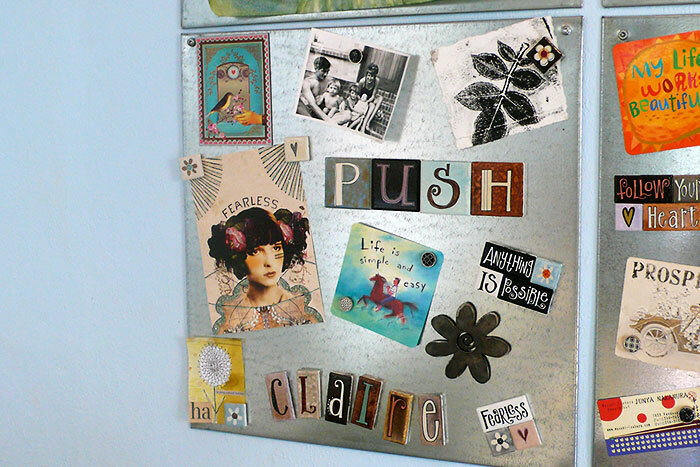 You can also find magnet boards for home and office. Spelling names is a very popular use for our tiles … for your children, grandchildren, friends, yourself or your pets. We get a lot of custom orders for names and love putting them together for you. Make it personal… Create Your Own. Our tiles are brilliant for using along with meditation, affirmations, vision boards and just simple reminders of what’s important to you. We have created Inspirational Words in all of our collections and Statement Packs in our Zen and Black & White lines. One of our favourite rituals is to pick a focus word each year and then create it with magnets to place where we can see it constantly (see Susannah Conway’s article for more information on picking your word) What’s your word? 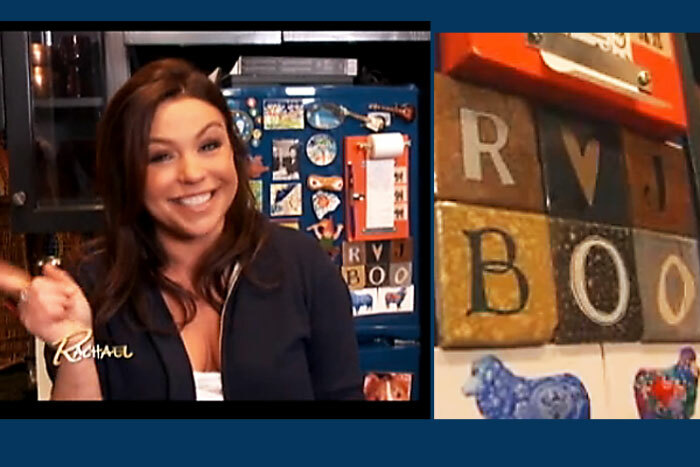 We spotted our magnets in Rachael Ray’s apartment. You can see them in this cool tour of her home kitchen! If you spot our magnets somewhere famous, be sure to let us know.